can do is be true to ourselves. I still spend too much time working and not enough time with my kids, husband and dogs. I have wondered if I am too defined by my work, but in a way I have defined my work as an extension of who I am. 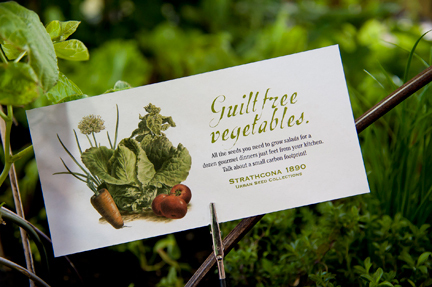 My passions for branding, design, gardening and doing my part to make the world a better place have all come together. I am still exploring ideas and feeling my way into the future, but who isn't. We can't plan our lives perfectly. Nature isn't perfect and neither are we. brand itself to become more successful, it's a pretty good start.